At Catalyst Ministry we utilize a simple but proven strategic plan based in scripture coupled with an extensive network of partners to help churches and individuals engage with mission opportunities in their community. 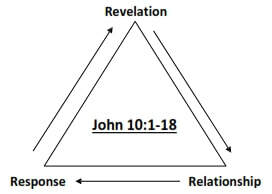 We start in John 10 and explore the unique Relationship Jesus invites us into with the Father. Through that Relationship we can learn to Recognize the voice of the Holy Spirit. As we learn the subtleties of His voice we are invited into an active Response to His words. It is through this rhythm of Relationship --> Recognition --> Response, we begin engaging with our true identity in Christ and our community around us. From this opening discussion we move to practical steps to help seek Calling and Clarity for your Context. At this point we dive again into scripture to explore the path Jesus in inviting you on. We would love to share our processes and toolkit with you. Contact us to begin discussing details.